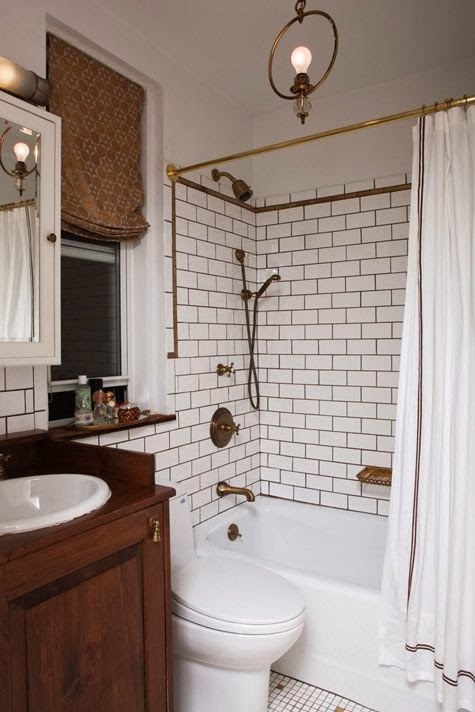 I started to see the look of pairing white tiles, dark grout with brass or gold faucets and fixtures a few years ago. Now the combination is stronger than ever. 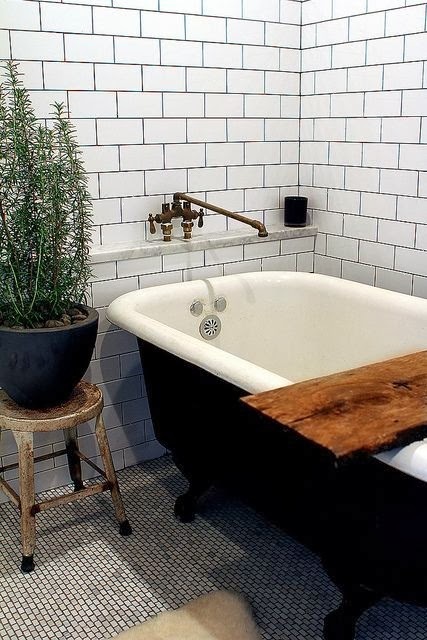 Often times it is also paired with dark rich wood. 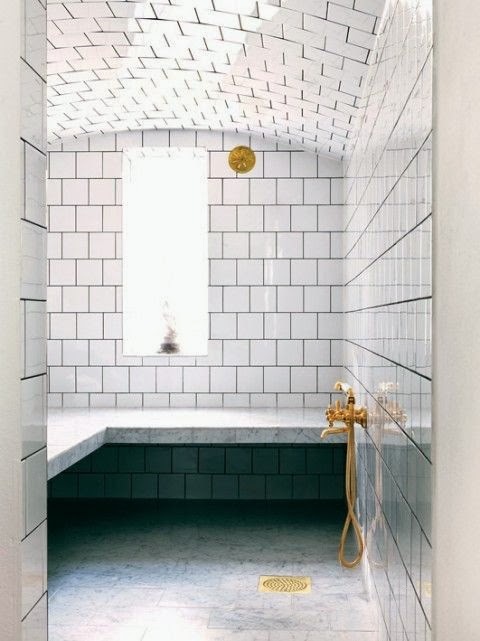 I really like this combination of textures and colors. 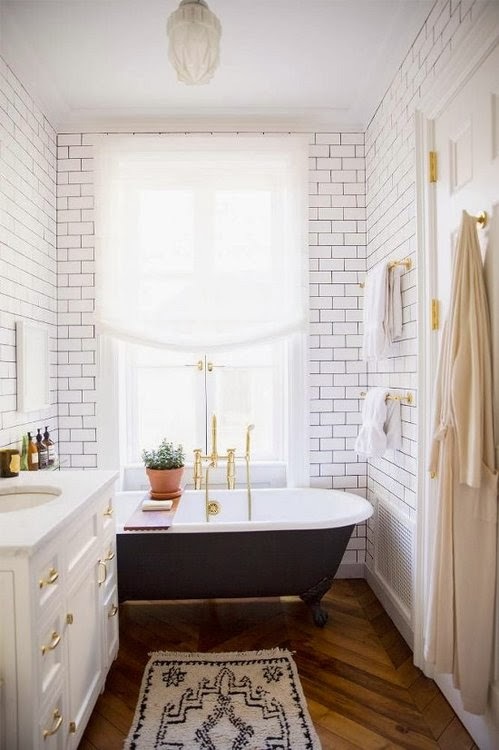 The gold or brass fixtures give a nice pop of warmth and shine. 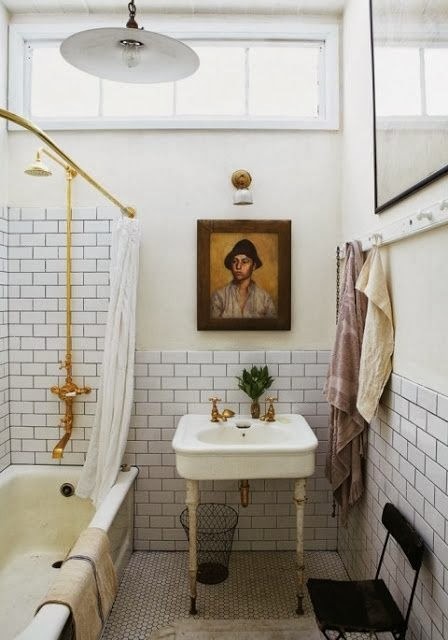 Yes nickel or brushed nickel always looks good too and is a lot easier on the budget but there is just something so luxurious and unexpected about pairing inexpensive subway tiles with gold faucets. look fantastic. 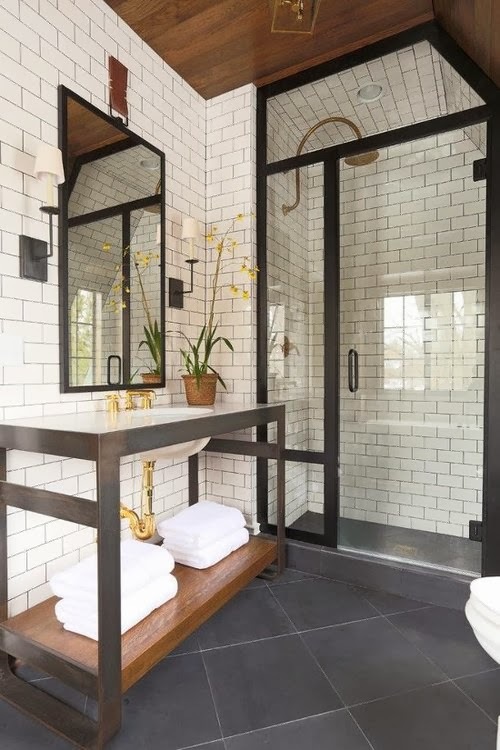 Perfect for a little powder room or half bath.